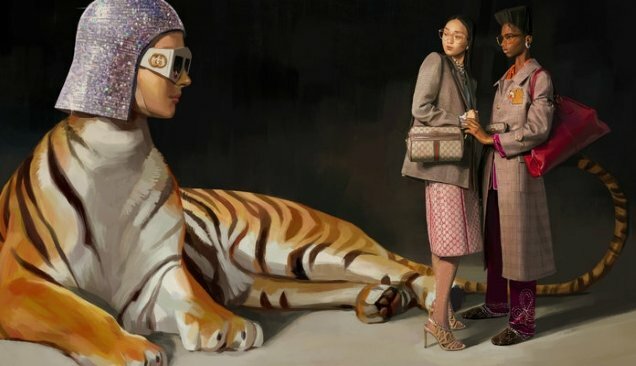 Leave it up to Alessandro Michele to push the boundaries (once again) as Gucci unveils its spectacular new advertising campaign for Spring 2018. 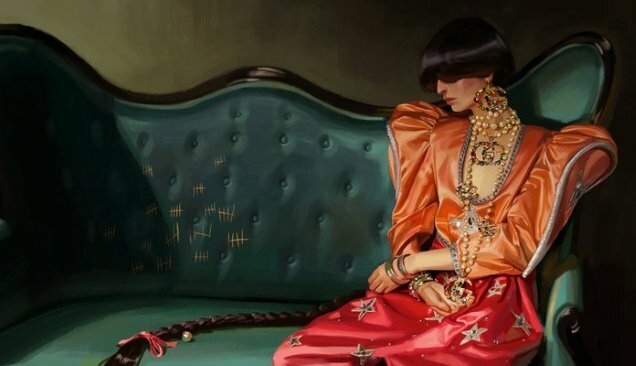 Making a disappearing act is photographer Glen Luchford who has captured Michele’s flamboyant aesthetic since day one, as the work of surreal Spanish artist and illustrator Ignasi Monreal takes center stage this season. Monreal produced Gucci’s ‘Gift Giving’ campaign and now cements his relationship with the legendary Italian fashion house with yet another campaign. Titled Utopian Fantasy, the images are based on some of the most iconic fairytales and feature multiple hidden references. Members of our forums were in awe. 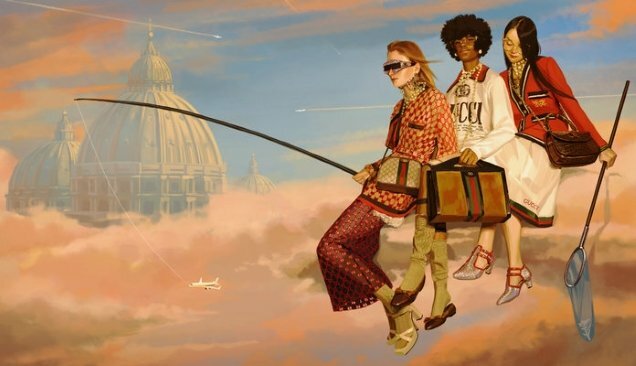 “I’m going to miss Luchford but I have to say that I love the concept of illustrating the campaign,” wrote kokobombon instantly. “I won’t lie, this is gorgeous,” admitted dodencebt. “Never thought I’d say this but I’m absolutely loving this. They keep nailing these campaigns,” noted Vitmaine W.
“I love this. Perfect for the new Gucci. They keep on delivering with the creativity of the campaigns,” echoed apple. “Wow. Love it. I was disappointed when I didn’t see Luchford involved with this campaign, but wow! wow! wow! I’m pleasantly surprised by how beautiful and well executed this campaign turned out! Gucci does it again,” heralded fashionlover2001. See more from Gucci’s spectacular Spring 2018 ad campaign and join the standing ovation here.